Sydney has a rich and vibrant history well worth exploring. Sites including old industrial buildings, churches, houses, museums and more provide material of considerable interest for the historically inclined. So where are the best historical sites to visit in Sydney? There are many places worth visiting in Sydney for history. The Victoria Barracks and Sydney Hospital are worth visit. 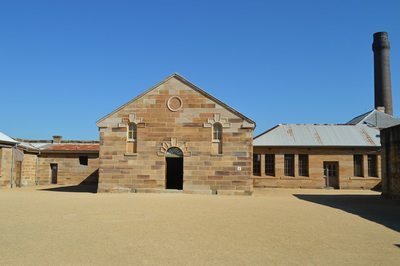 The Barracks were designed by a forger and built competently, while Sydney Hospital was designed by a professional and built poorly. It is still a beautiful building and worth wondering through on your way to and from the domain. It is also lovely to walk through the courtyard of the main building at the University of Sydney with its lovely Jacaranda tree. But University of Sydney also houses a great museum in the historical Macleay Building and Museum. 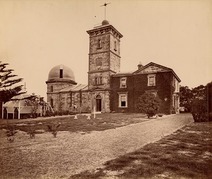 A walk up to Sydney Observatory is worth doing for their lovely museum and the fact that on some nights you can look at the heavens through their historical telescope. Parramatta has a number of lovely historical buildings including Elizabeth Farm, Experiment Farm Cottage and Government House. I loved walking past these places when I lived at Parramatta. The Queen Victoria Building is a must see, though it dates from the late 19th century and built in the art nouveau style, it is still a lovely place to shop. You also have the opportunity to walk around, drink, shop, eat and party in the well preserved rocks district. Always fun to walk around a discover The Rocks - even taking one of those free walking tours that covers the area. You learn more about your own backyard, and chill out at a cafe afterwards. Otherwise the Hyde Park Barracks on Australia Day (discounted entry) is also cool. I recently went to Cockatoo Island and I found that experience to be incredible. There were old industrial buildings everywhere, solitary cells in the sandstone buildings, a crumbling tower, old machinery in the buildings- it was great. And the other bonus is that if you visit during the art biennial you can see the various art installations there too! Windsor & the Hawkesbury LGA [shire] has lots of old buildings to see easily by walking around Windsor or Richmond. See the oldest church in Australia at Ebenezer and the oldest ongoing licensed pub in Australia in Windsor's main street, & the place where Governor Macquarie accepted the final draft of his Five Towns Plan - to protect the residents of Richmond, Windsor, Pitt Town, Castlereagh & Wilberforce from flood. Rouse Hill House and Farm is great for families - it is still a working farm so has cows to look at and chickens to feed. They do interesting historical tours of the mannor and outbuildings on weekends too. Fagan Park in Galston was developed around a historic home and a rural museum - very serene and beautiful place!! Best place to learn how to ride a bike in Sydney?